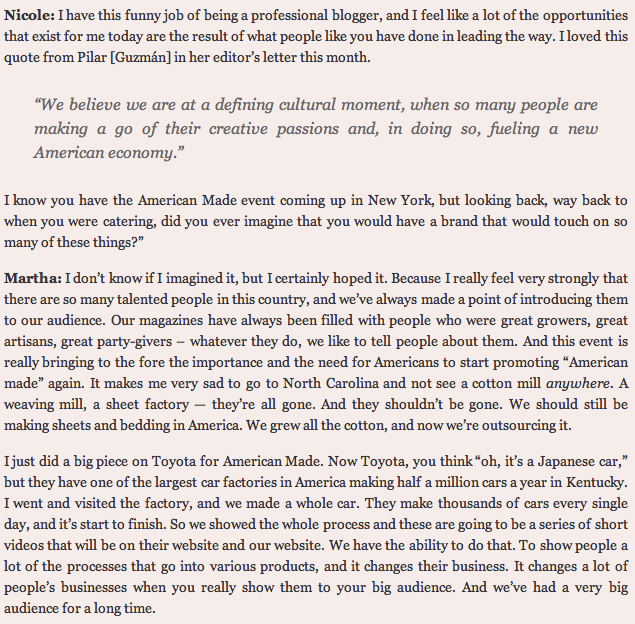 Last week Nicole Balch, the creator of Making it Lovely, got to (quickly) interview Martha Stewart. We loved what Martha had to say (pictured above) about American-made products and bringing them back. As a company that focuses on producing only American-made products, this really resonated with us. 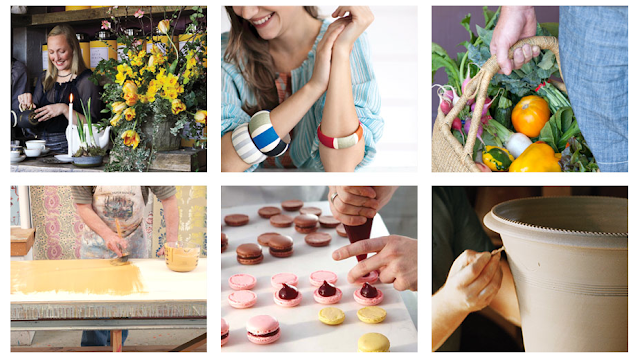 As mentioned in the blog post, Martha Stewart is behind the American Made event that is happening this week (October 17 & 18) in New York at the Grand Central Terminal. We're happy to announce that we'll be at the American Made event, selling a selection of snapsuits and rompers (due to limited space) as a part of the "our finds" marketplace. The editors of Martha Stewart Living selected their favorite American makers to sell their wares, and Winter Water Factory is part of a table that is shared by crafters that work at Martha Stewart! Our very own Stefanie Lynen will also be there on Thursday afternoon, helping with craft workshops and demoing craft projects. We hope to see you there, and learn more details here! !